Compass Box and the SWA: what’s happened and what can we do? 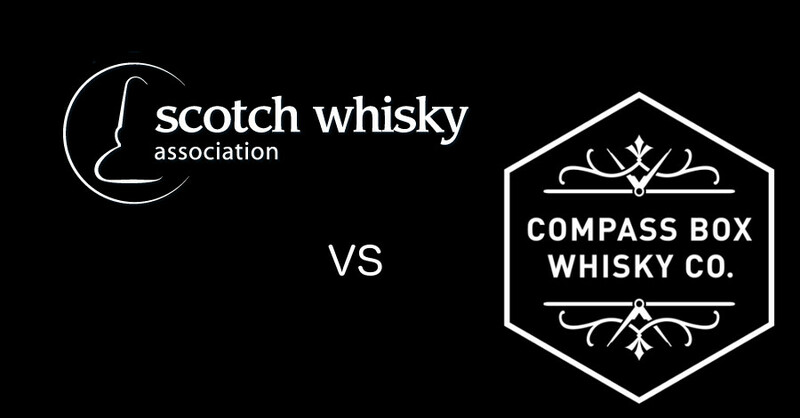 The internet rumbles along, and the whisky corner of it continues to froth about the despicable Scotch Whisky Association and its treatment of Compass Box. I’m getting a bit bored of it, to be honest. However, along with being bored, I’m getting increasingly annoyed by people not understanding what has actually happened, what the issues are, and what can be done. So, here’s my attempt at laying out the information, so that I don’t have to keep deleting Facebook messages which swear at people who don’t know whats going on. It’s not a revelation to anyone who’s visited my house that I have a thing about some of BrewDog’s beers. If you are a long-term reader of this blog (hi mum! ), you will probably realise this too, even if in more recent times I’ve not said much about them. Unfortunately this is a sign of their success, as they’ve become more ubiquitous and part of the establishment – the kind of thing that new-thing-loving bloggers like myself drink more than write about. However, they recently sent me a bottle of beer, so it’d be rude not to say a word or two about it, especially as I’ve already picked up a couple of bottles of it for my stash. The beer in question: Paradox Compass Box. I like it when my obsessive calling of things by their Proper Name shows that I vaguely understand the world. Whether it be obsessive fact checking of people’s names or checking to see whether I should be sticking a The in front of a town/country/product/etc (The Hague, Ukraine and The Glenlivet, I’m looking at you) I do like to make sure that things are referred to properly. So, my insistence on calling Compass Box’s new-ish blended whisky ‘Great King Street: The Artist’s Blend’ (although whether I vocalise the colon is very much dependent on context) rather than the abbreviated ‘Great King Street’ has now come to fruition with a second whisky in the range appearing. While a there is a second general release in the wings, the follow-up to GKS:TAB is a limited edition whisky that’s also the first in a new subseries – Great King Street: New York Blend. Since I’ve started helping out with Whisky Squad I’ve not had the chance to contribute a session’s title, but with #48 I dropped a bad pun and the chaps for some reason went along with it. An evening of grain whisky with occasional whisky photorgrapher and evil tempter Philip Storry – The Storry of Grain. I’ve known Phil for a few years. He’s an almost constant fixture at the Scotch Malt Whisky Society in London, comes along to many of our tastings at The Whisky Exchange, and has photographed both those tastings and The Whisky Show for a while. He’s also the reason I’m a grain whisky fan, ‘forcing’ me to try some Port Dundas at a Compass Box blending school, and since then filling my head with knowledge and my hand with random grain whiskies almost every time I bump into him. I approve. There are some fairly mad people in the world of whisky – and I use that term in a purely complimentary manner. This weekend has shown off a couple of groups showing the best that whisky and madness can accomplish: Balvenie are tasting whisky in a specially built in a hotel in Manchester this weekend and (the thing that I’m going to write about here) John Glaser of Compass Box and Dom Roskrow decided to do some driving. Now, driving between whisky tastings isn’t a particularly new thing. Doing a bunch of tastings in a day is also not a particularly big thing. However, doing eight tastings in a day at eight different locations, starting in Inverness and finishing in Brighton, is slightly different. And slightly more on the mad side. Hello. I’m in Scotland, surrounded by snow and equipped with inadequate footwear, a combination of facts that should make post(s) later this week a beacon for schadenfreude tinged enjoyment. Anyways, as whisky distilleries treat weekends in February with appropriate level of contempt (they’re working but don’t open for tourists, as there are only four of us here who want to come and visit, and we’re all sleeping, going to the pub and bemoaning our inadequate footwear) today is a day for writing things, in this case a quick note (edit: quick was the intention, however it didn’t happen) about Whisky Squad #30 – The Management presents. 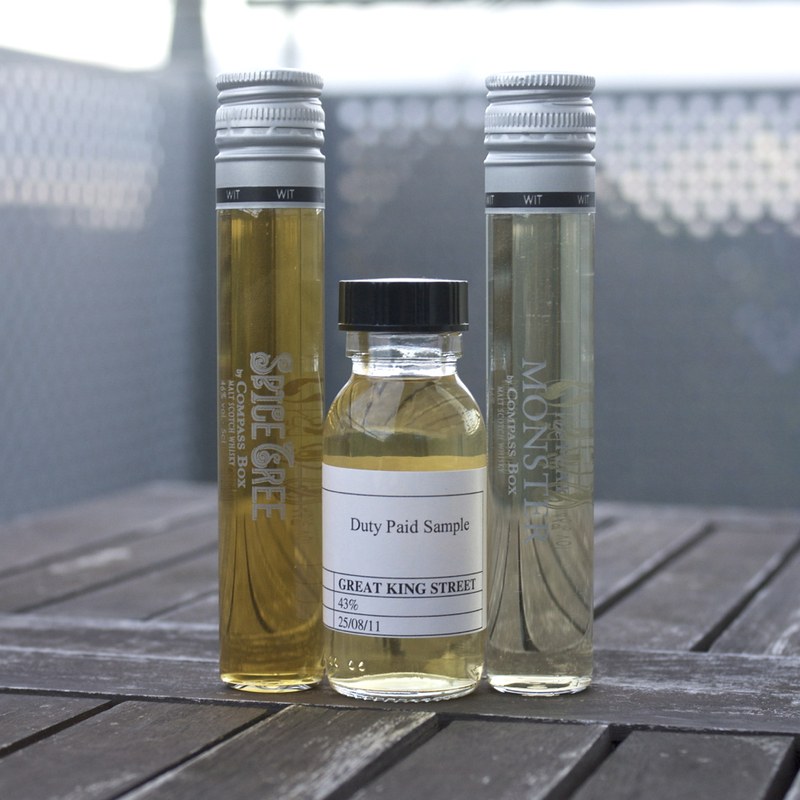 Whisky Squad #24 – Movember! 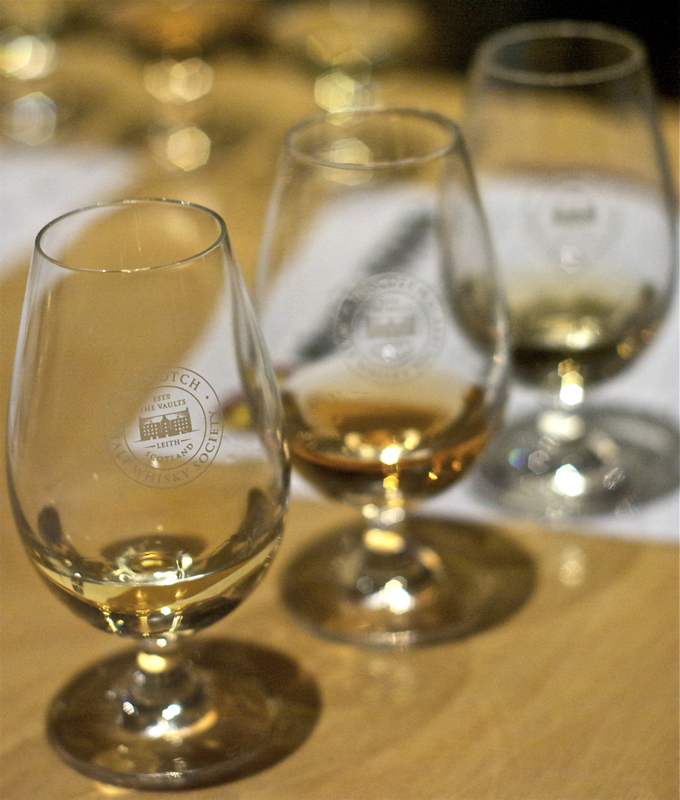 The year hasn’t ended yet and here it is – a blog post about the most recent Whisky Squad tasting. It’s even (unless plans go awry, in which case I’ll delete this sentence making these parentheses entirely pointless) before the next Squad meeting, the Christmas dinner on the 8th of December, so this officially makes me a good boy again. This post has been fomenting for a while, but the perils of work and thinking too much about whisky have forced it into the background until now. Laphroaig Quarter Cask, 48%, ~£30: Cheap, cheerful and very full of flavour. LQC, to give it initials that may have a different meaning to two readers of this blog, is young Laphroaig which finishes its maturation in small ‘quarter casks’ which are a quarter of the size of the regularly used hogsheads. This smaller size changes the wood/spirit ratio in favour of the wood, upping the rate of maturation of the whisky and sticking on a ‘growth spurt’ at the end of its time in wood. This does mean that they can bottle their whisky younger, but it also adds a nice chunk of sweet woodiness to the whisky, which works well with the phenolic tang of the Laphroaig. It’s bottled strong and isn’t chill-filtered, and still comes out at about £30 a bottle, which is rather good. It’s also on offer in Tesco quite often, which doesn’t hurt. Clynelish 14, 46%, ~£30: My default whisky at home, although it is currently replaced by the Distiller’s Edition which we had on special offer at work. Clynelish has recently started rocketing in popularity, in part due to Serge Valentin and John Glaser talking about how much they like it. Not much goes to single malt production still, and the 12 and 14 years old versions are the two that are generally available. While the 12 is good, and cheap, the 14 is my favourite of the pair – waxy, sweet and fruity with a hint of the sea. Pretty much a whisky made for me and one that seems remarkably good at luring people into the world of less well-known distilleries. The Glenlivet 18, 43%, ~£40. This one is a steal – less than £40 for an 18 year old is something you just don’t see (and a quick search on TWE has it as the only 18+ whisky for under £40). Age isn’t the be all and end all of whisky selection, but this one has aged well and benefited from its time in the cask to produce and well rounded and tasty whisky – big, rich and fruity with a slab of The Glenlivet’s creaminess. Nikka from The Barrel, 51.4%, ~£25 for 50cl. A small bottle so not quite as good a deal as it first seems, but an excellent one all the same. A blend of whiskies from Nikka’s distilleries, sweet and elegant with quite a big alcoholic punch. Quite bourbon-like in character and good for mixing as well as drinking neat (or even, sacriligeously, with a chunk of ice). And to cap it all, the bottle is REALLY pretty. Ardbeg 10, 46%, ~£35. I’m rather liking Ardbeg again at the moment, as my previous sherry obsession fades in favour of a nice chunk of peat – I generally find I’m liking one end of the extreme whisky spectrum at a time, and it seems that peat is in again for me. This is big and mulchy, with smoke, mud and a slab of vanilla from the first fill casks they used to mature a lot of it. I’ve heard tales that it’s not as good as it used to be, but it’s still a top bit of peaty beast without the medicinal nature of Laphroaig. Old Pulteney 12, 40%, ~£25. While checking the price on this one I found that it seems to be currently sold out at both Master of Malt and The Whisky Exchange – it sells rather well, as you can tell. It’s a big and briney dram which I recently tried while wandering around the distillery up in Wick (the most northerly I’ve ever been). The range gets expensive very quickly, with the 17 year old next on the list and breaking the £50 mark, but this is eminently reasonable and also very tasty. Please let me know your suggestions in the comments below. Flicking through my notebook to remind myself of what I’ve been up to of late (I don’t bother storing such information in my brain any more, it’s too full of useless facts that I’ve accidentally learned from Wikipedia) I came across a bunch of tasting notes from Whisky Live London. Rather than let them sit in an analogue and unsearchable pen and paper format I thought I’d better get them typed up into a nice digital form just in case I lose my notebook again like I did last week (it was on the sofa). Berry’s Own Selection 1997 Clynelish – my first whisky of the evening was predictably a Clynelish (my new favourite distillery) and from the Berry’s stand (my new favourite shop). On the nose it was floral and, inevitably (to the point that I’m not even sure it’s really there or if it’s my brain inserting it), waxy with buttered Fruit Salad chews and butterscotch. To taste it was sweet but astringent, with big tannic wood and sweet lemons. Water turned some of the wood into butterscotch and brought out more citrus. Bowmore 16 year old Port Finish – one of the peat plus port wood whiskies that seemed to be the underground craze (well, there were two) at the show. On the nose it had muddy peat, caramel, well roasted beef and flowery hand soap. To taste it had big astringent peat with restrained smoke, pulled pork and a mustardy heat. I didn’t get to add water as I was talking to some people on the stand, but I think it could have done with a drop to pull out some more flavours. Teerenpeli – Finnish whisky. First distilled by brewer Teerenpeli in 2002 and released as a 5 year old in 2008 and a 6 in 2009. Their website’s all in Finnish, so I don’t know much more about them. I’m not entirely sure how old the one I tried was but the chaps on the stand were lovely. They were so nice that even though I wasn’t asked I stuck a couple of whisky tokens (the currency of the Whisky Live shows which noone seemed to want to take this year) into their jar – the nice man told me that any money they got from them would go to charity. The nose had boiled milk, egg custard and sour fruit. To taste it had rich cream with spice, malt and raisins. A bit like a bowl of museli. The Glenlivet 1964 – grabbed from the The Glenlivet Guardians balcony after I signed my life away to their mailing list. It was something I’d been meaning to do for a while as they send you a pretty key to stick on your keyring that gets you into the special Guardians lounge at the distillery. On the nose it had marzipan, pencil shavings, sweet butter, cream, cinnamon and butterscotch. To taste it had rich buttery wood, sweet dry wood, shortbread and spongecake with a dry finish. Water added more butter and more spice, leaving it soft and oily. The lady on the balcony poured me a rather generous sample of this and it lasted me for a good long while (through dinner, chatting with people from some of the stands and wandering around a bit) – I rather liked it. In the end I necked the end of it before grabbing a dram of something that I no longer remember. I knew nothing about it until I looked it up online the next morning, at which point I discovered that at £1000 a bottle it was the most expensive whisky I’ve ever tasted and the sample I tried would have cost me in a bar significantly more than my ticket to the show. It was really good, but maybe not £1000 good, but if you’re paying that much for a bottle of whisky you’re probably not caring about the price. Compass Box Flaming Heart – my penultimate whisky of the night (the last was some Pappy Van Winkle 20 year old, but as I was being herded out of the door by then by some CIA-lookalike guys in suits with ear-pieces my notebook stayed in my pocket) this was the only whisky on the Compass Box stand that I hadn’t tried at the previous evening’s Whisky Squad. It was poured for me by the lovely Chris Maybin, who conducted the previous night’s tasting. On the nose it had muddy peat, light burning hay and orange peel. The taste started sweet and the moved through spicy caramel to a smoky fiery end. Water brought out more Clynelishy-ness (wax and salt), fruit in the middle (mango and pineapple?) and burnt wood over the end. My final tasting note of the night was ‘Butter and ash’. Unfortunately this is the also the whisky that me and Mr Standing wittered about in the Connosr Whisky Pod. Since then I’ve deliberately tried not to use the word ‘nice’ and the suffix ‘-ness’ (apart from the one above in Clynelishy-ness. That was deliberate). I hope you appreciate the effort that has required. This blog post has been brought to you by the remains of my second Whisky Tasting Club box (blog post to appear shortly), a Cohiba Siglo 2 cigar, the windiness of my balcony and an amusing eBay posting. Highland cask strength single cask(?) single malt Scotch whisky, 56.8%. £45 from Berry Brother’s & Rudd. Islay cask strength single malt Scotch whisky, 56.1%. ~£60 from The Whisky Exchange. Finnish single malt whisky, 43%. No idea on price or anywhere you can buy it other than in Alko in Finland. Speyside cask strength single malt Scotch whisky, 45%. Sold out, but was ~£900 from Master of Malt. Second edition ~£900 from The Whisky Exchange. Blended malt whisky, 48.95%. ~£65 from Master of Malt.